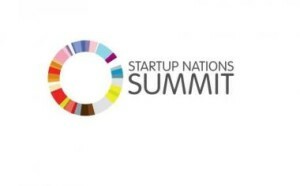 The Estonian Ministry of Economic Affairs and Communications and Startup Estonia have been selected to host the Startup Nations Summit in 2017. The event, organized annually by the Global Entrepreneurship Network (GEN), will continue to explore rapidly growing European startup hubs. The event in Tallinn will be held right after the Global Entrepreneurship Week and as a strong introduction of European SME Week. The key aim of the Summit in 2017 is to explore how digital disruption is changing the world. It is both startups as well as policymakers that must take advantage of digital technologies and make a difference. „Estonia is among the most forward-thinking governments in the world and we are happy to share our experiences in digital governance,“ said Ms Liisa Oviir, Minister for Entrepreneurship. „We are ready to immerse all policymakers in how digital technologies have made a huge difference for entrepreneurs in Estonia. We call startups to expect more from their governments, so they can start and scale faster,“ Oviir added. The 2017 Startup Nations Summit will be held in Tallinn from November 20-22, 2017.